Aina (pronounced EYE-NA) hail from Barcelona, Spain and play beautiful, inspiring, melodic punk rock with a nod to Jawbox and a not so subtle infatuation with AC/DC. 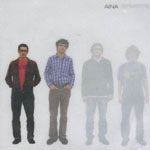 "Bipartite" is their 3rd CD (following a full-length and a singles compilation) and was originally released on their home Catalonian label, BCore Disc in 2001. 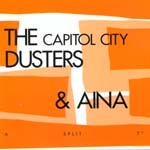 Aina first came to our attention when we (The Dusters) shared the stage (and a split 7") with them on our entire 1999 European tour. We were absolutely blown away by their drop dead live performances night after night and by their incredible hospitality while we were in Barcelona. Needless to say we quickly became huge fans and fast friends and have been plotting ever since to get them over here to spread the wealth. "Bipartite" was recorded at Inner Ear in Arlington, VA with J. Robbins in the Summer of 2001. J. then took them on tour for two weeks with Burning Airlines where they were enthusiastically embraced by packed audiences. Superbad released the American version of this record to coincide with a Dusters/Aina USA tour from November that included dates with their other European touring brothers, Shiner and Engine Down. » Aina in Europe on BCore disc.